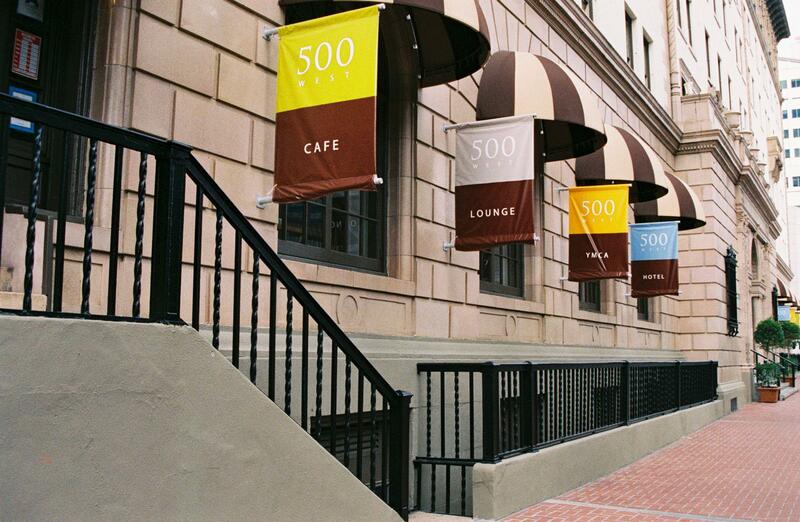 It’s not one of the official SDCC Hotels but located next to the Westin on Broadway and steps away from shuttle and the Sante Fe station (where the red train stops before it continues to the convention center) is the 500 West. Their website calls it a “European style hotel”. It’s a former YMCA that used to serve the military. Now it’s a shared bath hostel. The important thing is that as I write this, Sunday March 3, 2013, there are still rooms available for Comic-Con and they are…wait for it…around $100 a night. Here’s the deal with the place: the rooms are singles. They have narrow, cot-like beds. Bathrooms are shared. They are cleaned several times a day but you WILL need shower sandals. Many rooms have no tv. There is no air conditioning but there are windows that open and fully functional ceiling fans. The only worrisome thing about the place for me is that it frequently appears on the bedbug registry. Back to the pluses: there’s a guest laundry and full kitchen available (although your food will get stolen from the fridge–even half eaten leftovers). Internet connection is not bad. The cafe in the lobby makes a tasty breakfast. It’s walking distance to the Convention Center. The staff is very nice. It is possible to get a cube fridge for your room. My personal experience at the 500 West has always been good. I never had an incident with bedbugs. I’ve met some lovely SDCC’ers staying there. I’m sharing a room this year and the odds were in my favor in the Hotel Games. If I was on my own again, though, I wouldn’t hesitate to stay at the 500 West. If you want to read more about it, here’s a link to their TripAdvisor page. It might not be amazing but if you honestly just want a place to shower, maybe sleep a few hours and keep your stuff, this might work.